In the New Year, Spencer Municipal Utilities (SMU) will be making the switch to National Information Solutions Cooperative (NISC) for a new billing software provider. This has been in the works for some time, and some customers have asked for all charges on the same statement. “We know some customers have experienced frustrations with the billing process and making payments and we are looking forward to a solution our customers will like, and eventually combining all billing on one bill with one due date,” says Amanda Gloyd, SMU marketing and community relations manager. SMU’s current software programs are not all integrated, and the NISC platform will integrate many programs for better efficiency. 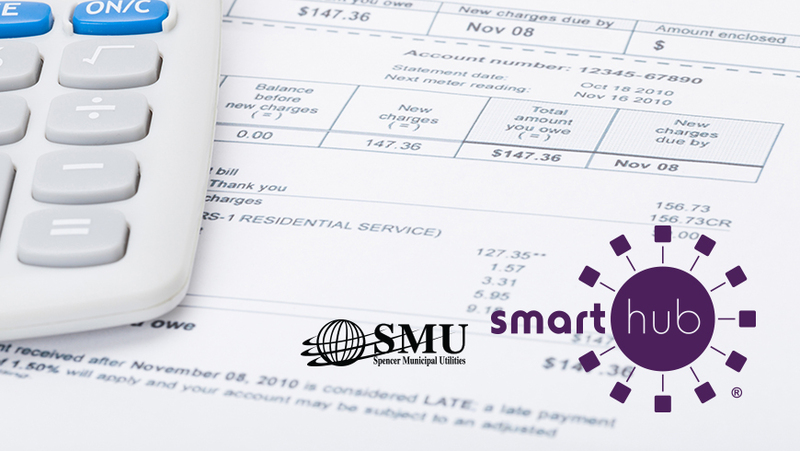 With NISC, a not-for-profit cooperative, SMU is looking forward to better using technology and giving customers more account options to meet busy lifestyles. SMU staff is working to make the transition as smooth as possible. “We encourage customers to look for future communications from us to assist with the transition scheduled for May. As with any major project there could be some bumps along the way, but our staff does well resolving issues and is working to be ready for this change to continue providing the best service possible to customers,” adds Gloyd. In May the new software will be in place for utility (electric, water, city charges) statements. At that time, the total for communication charges will also be included on the statement with the details included in the normal communications statement mailed separately. This is the first step in combining billing for all services on one statement. Eventually, all services will appear all on one statement from SMU. “We know customers will enjoy all of the upgraded features through the customer portal and options for managing their account. One thing customers can do now to prepare for the transition is to make sure we have their most up-to-date contact information,” adds Gloyd. If any contact information has changed, including phone numbers and email addresses, please call SMU at 580.5800 during normal business hours Monday-Friday from 8am to 5pm to make sure the correct information associated with SMU accounts. Spencer Municipal Utilities is a leading provider of cable, internet, and telephone service in the Spencer community and has been providing water since 1886 and electric services since 1901.